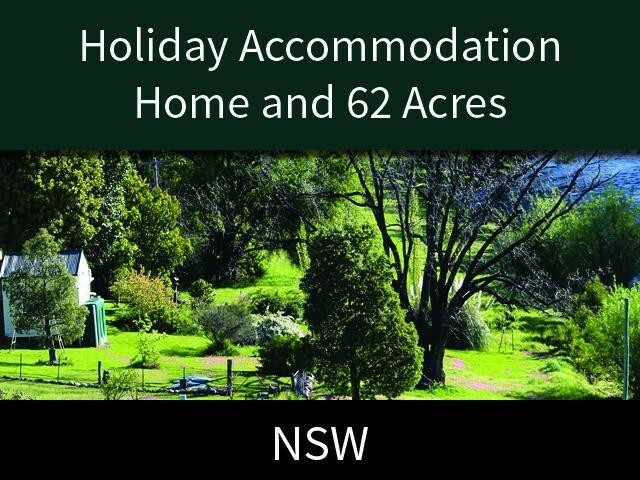 Luxury Accommodation and Self Contained Accommodation set in a stunning location in the NSW Riverina region. Amazing opportunity to own a slice of the tourism hospitality market, in the Snowy Mountain region NSW. This holding includes 5 luxury self contained cottages - 3x2 bedroom, a 3 bedroom and a 4 bedroom, all of which are rated 4.5 star and a 4 star cottage. Additions currently underway will increase total occupation capacity to 30 in the 5 cottages at any one time. This property has been developed by the present owners who have traded since July 1st 2004 and have increased turnover year on year. The business is primarily owner operated with the assistance of 2 casual cleaning staff and the occasional gardening being outsourced. There is great potential to grow this business as it stands with the addition of 4 more cottages and the introduction of events. •	Privacy assured with a maximum of 25 guests soon to be 30 with current renovations. This Guest House/B&B Business is one of 9 businesses for sale in Canberra, New South Wales, and one of 1 Guest House/B&B Businesses in this region that a business for sale currently has on offer. This Guest House/B&B Business is for sale in Canberra for the asking price of $4,000,000 WIWO and is new to the market.